Norfolk Select has specialised in holidays to Norfolk Island for over 12 years and with our knowledge of the island, we can recommend you the best tours, the best restaurants and even the best people! 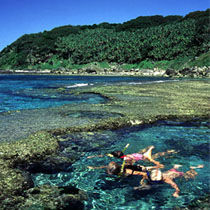 It’s a very friendly Island with the locals keen to show off their slice of paradise. Click here to visit our dedicated website. 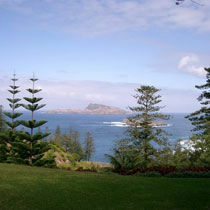 Lord Howe Island is situated 550km east of Port Macquarie, New South Wales and less than two hours from Sydney, Brisbane and Port Macquarie airports. QantasLink flies 32-seater Dash-8s direct from Sydney most days, with multiple daily flights in busy periods. After such a success with Norfolk Select we have broadened our destinations and now are also accredited wholesalers with Qantas for Lord Howe Island.